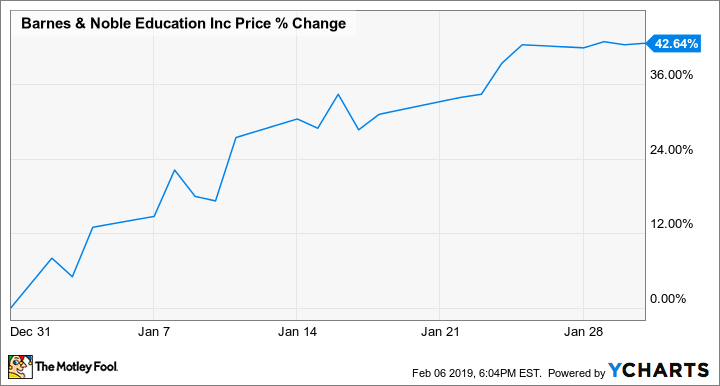 The small-cap education company posted big gains on market momentum and relatively little news. 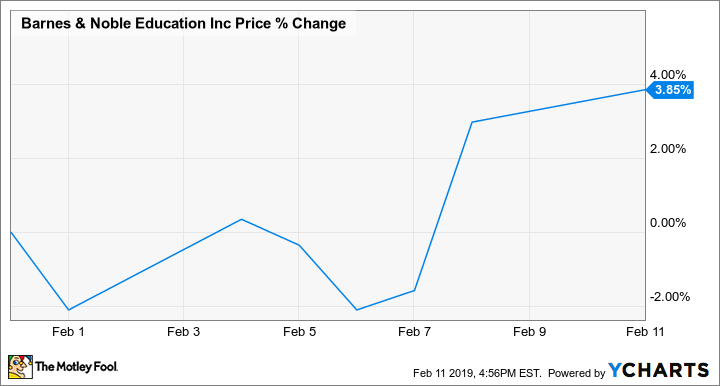 Shares of Barnes & Noble Education (NYSE:BNED) gained 42.6% in January, according to data from S&P Global Market Intelligence. The company's stock fell roughly 28% from October through December, as sell-offs for the broader market and second-quarter results that fell short of expectations put pressure on its valuation, but it came roaring back in January.